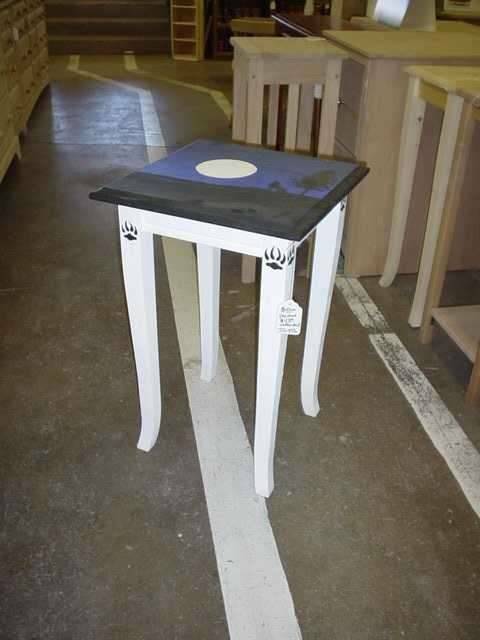 When I used to work at Unpainted Furniture in Rapid City SD, the owner Lori would always give me new ideas of artwork to put on furniture to make it unique. One day she had a customer who was looking for an entry table for their club’s office. 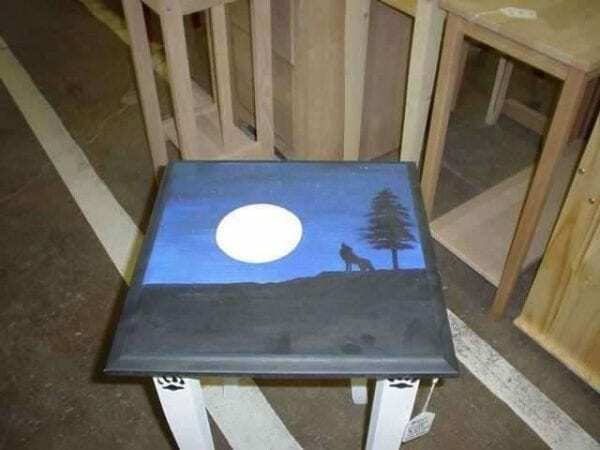 Their main logo was a wolf print which I put on all four legs and then I painted the wolf and moon on the top. Customer was very happy with this piece.